Acromag. Ethernet was never designed for the plant floor industrial environment. It was designed for office systems and the environment of the enterprise business systems. In the business systems environment, making sure that the network has ultra high availability at all times is not necessary. For example, servers are often rebooted during off-peak use times, like at night, and on weekends. This of course will not work for the plant floor—there are few, if any, off-peak use times. A plant floor network must have availability 24/7 and probably 24/7/365. Networks cannot go down, and servers cannot be rebooted in the middle of production. But because Ethernet is entirely ubiquitous throughout the rest of the enterprise, its costof-implementation and cost-of-use has been reduced to the point where it is also commonly found on the plant floor. 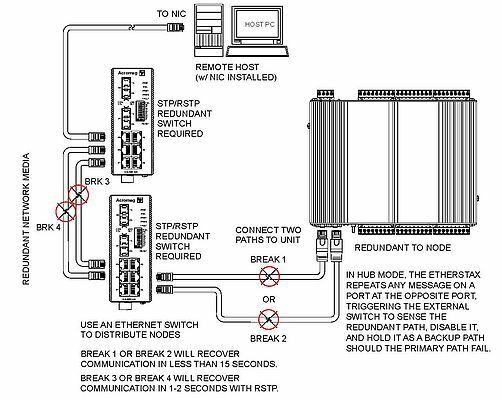 Most IT specialists understand and can troubleshoot an Ethernet network without special training, too. So it is entirely understandable why Ethernet has become the network of preference on the plant floor as well.